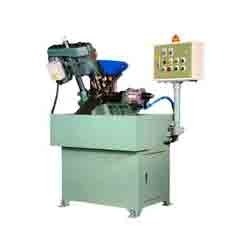 We are a leading supplier of Auto Slanting Tapping Machine. 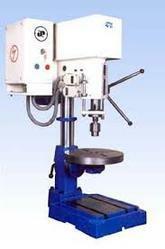 Our clients can avail from us an exquisite range of Hydraulic 3 Way Drilling & Tapping Machine. High quality material and equipment are used to manufacture the offered product-line. Post-procurement, these machines are thoroughly inspected on certain well-defined parameters of quality. BED: Tabletop is the `T’ slotted C.I. Table for easy & faster clamping of the object. It has coolant collection and drains passage. The TapEasy Hydraulic Tapping machine comes equipped with an Articulated Arm, which enbales the user to have a large work radius. The Tapeasy Hydraulic model comes equipped with a Hydraulic Power Pack and an optional coolant system on request. Shivam Electrical & Engineering Co.